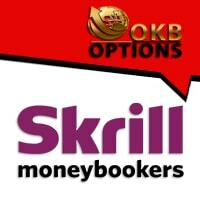 Moneybookers or Skrill nowadays, has introduced a unique way to pay and get paid online. It offers the safety and convenience of online payments, whether you’re making payments or receiving money online, you only need a valid e-mail address and password to get you started. That’s it. You don’t need to divulge your personal information and carry all the details repeatedly. What makes it more exciting is that Ikko Trader is now accepting Moneybookers as one of its payment methods. Think of it as your digital wallet – Ikko Trader Moneybookers gives you the freedom to choose your payment method and provides instant deposits as well. What’s more, this innovative payment medium remembers everything for you, so you don’t have to re-enter your financial details each time you make a deposit. You only need one e-mail account and password to access everything. It’s perfect for traders who don’t want to use credit cards as their payment medium. With Ikko Trader Moneybookers, your card and bank account details are always protected. Get full access to all these marvelous features when you sign up for a Moneybookers account. There’s no better way to deposit and withdraw funds than Ikko Trader Moneybookers. We aim to keep things safe and easy. That’s why we came to an idea of building up partnership with Moneybookers to add another layer of simplicity, convenience and security to your transactions. It boasts uniqueness yet guarantees reliability at the same time, so traders are always protected against fraud and other malevolent behaviors. Ikko Trader Moneybookers offers speed and precision each time you make a transaction since it processes payments in real-time. This way, you will not miss out on any earning opportunity since there will be no intervals on your Ikko Trader payment process.